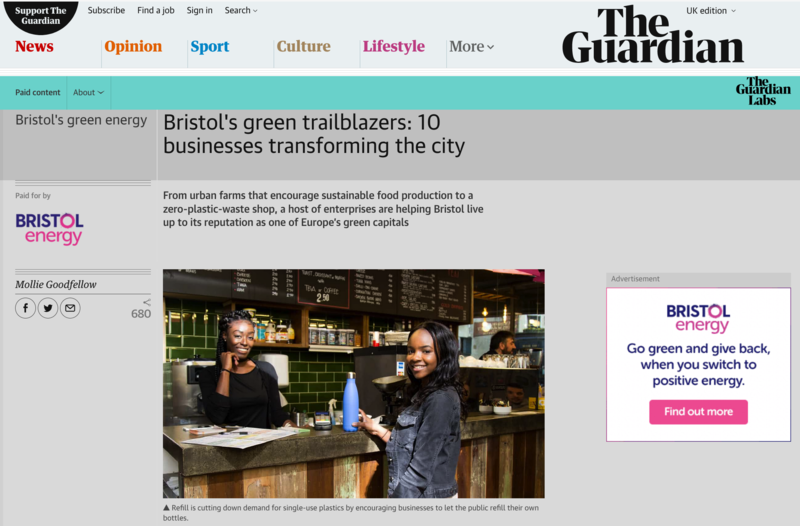 I was chuffed to see in my news feed today, an image I shot as the Guardian’s feature image in this article! It’s from a series of images I made for the launch of #RefillLondon. As City’s to Sea’s main photographer, it’s fantastic, that I can use this skills to highlight solutions for plastic pollution. When I started at photogrpahy college back in 2004 my main aim was to shoot photography as a means to positive change. And I am, which is a warm fuzzy feeling! Anyway, enough of my waffle! Check out the article and the inspiring people who feature in it. < Previous TGI Friday’s is skipping plastic straws!